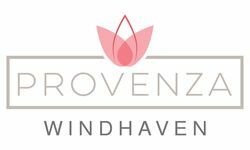 Provenza at Windhaven welcomes non-aggressive breed cats and dogs only. All pets must be 6 months of age or older and weigh 100 lbs or less. A maximum of 2 pets are allowed per home. There is a pet fee of $100-$150 and $100-$250 pet deposit. Monthly pet rent is $15 per pet. Please call our leasing office for more details. Parking Comment: Covered parking, attached and detached garages available. Residents must register their cars to receive a parking sticker. Parking sticker required.